Shauna and Liam said I do a while back surrounded by a big loving family. 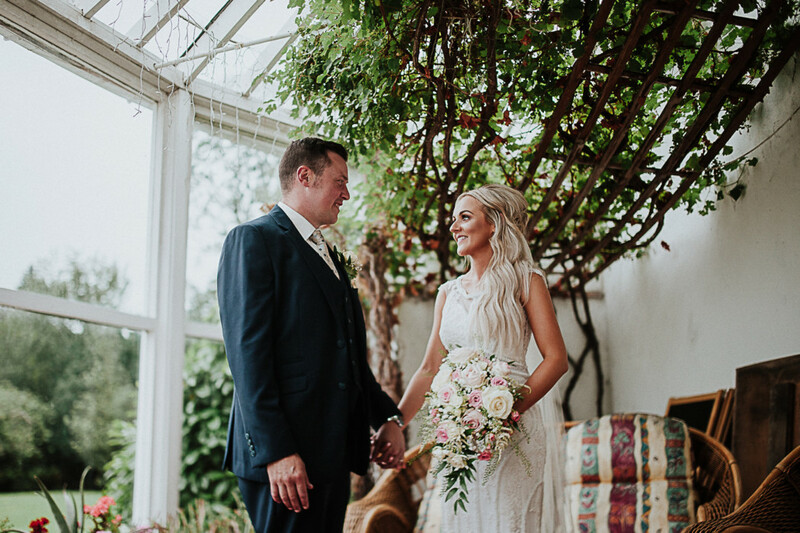 Their incredible celebration started with a ceremony at beautiful Church in Castlederg following the fun reception moved to Castle Grove Country House Hotel in Letterkenny. I just couldn’t imagine better choice for their Wedding day and I loved all the flowery decors – extremely beautiful frame for such occasion. White & light pink flowers with lots of greenery were perfect for elegant, stylish wedding. This sweet and gorgeous couple had so much fun with their loved ones, they rocked the dance floor and it was a joy to photograph! This gallery presents photos that are generally about ceremony, wedding, event, groom, bride, photograph, tradition, girl, bridal clothing, flower	in Castle Grove Country House Hotel.